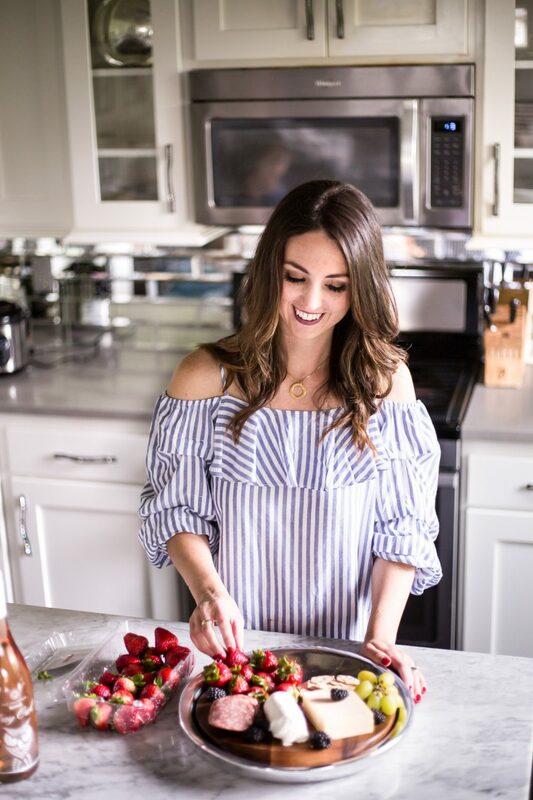 It’s time for my fall mantel reveal! I’m so excited with how our mantel turned out this year. 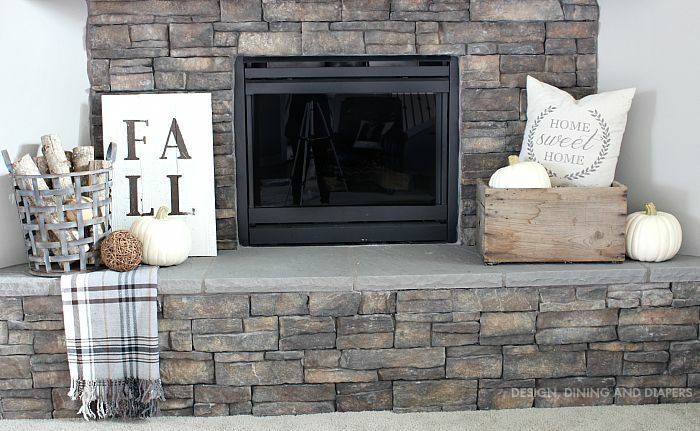 I loved our last year’s fall mantel turned out and decided to keep some of the same features. But it’s always fun to try something new too! 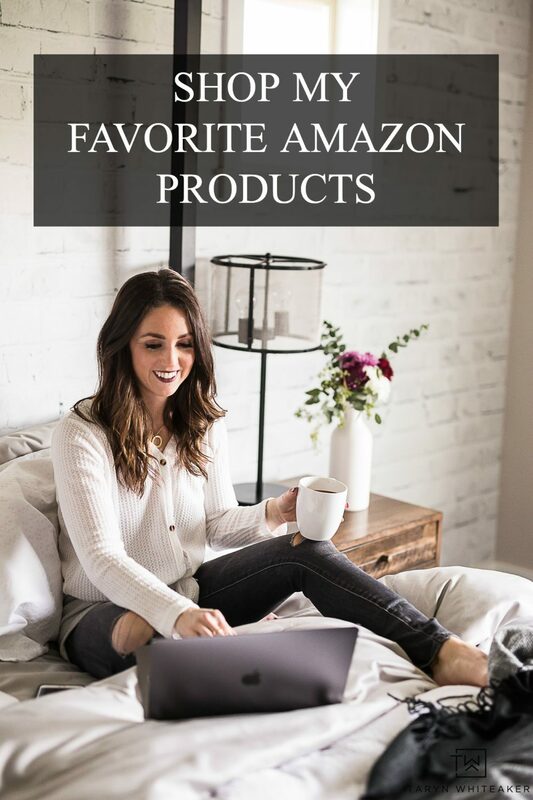 I always try to use what I have on hand first and then fill it in with a few new finds. 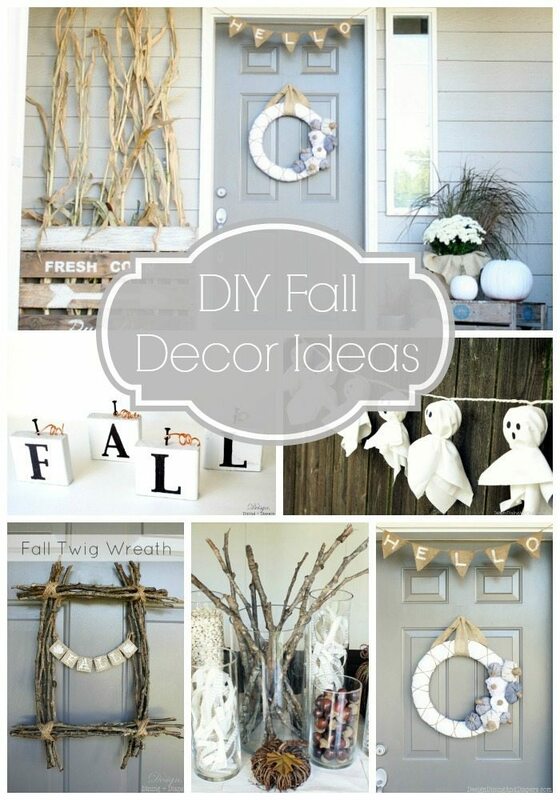 Do you use the same decor year after year or mix it up? 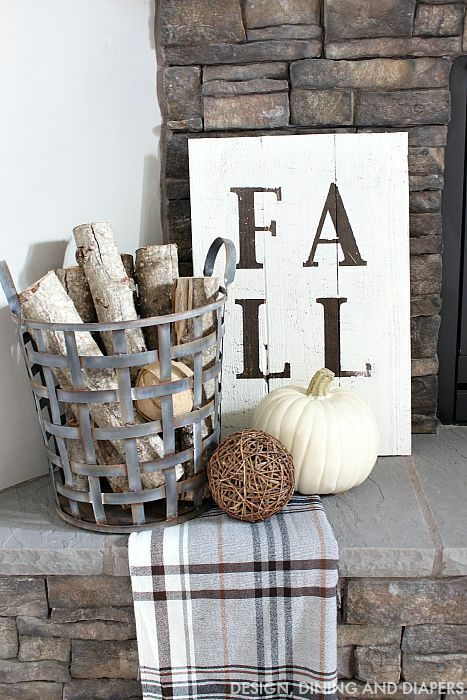 Here is my rustic fall mantel for this year! I tend to only decorate for fall and Christmas, and it feels so good to have something cozy and seasonal on our mantel right now. I love change and I love having something new up. 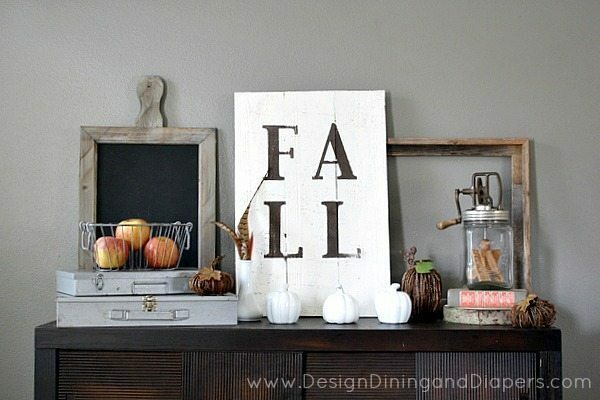 I made this DIY Fall Sign a few years back and I still loving using it year after year. 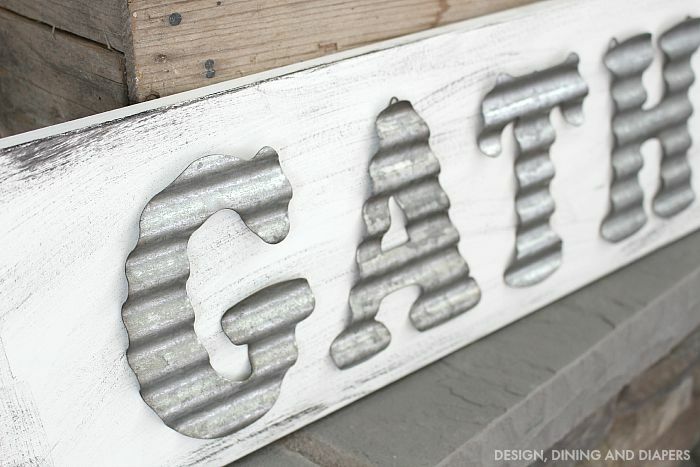 I knew I wanted to put metal letters up on the mantel but I couldn’t find what I wanted. And this is the very reason why I take matters into my own hands and DIY exactly what I want! You can view the full tutorial for this super easy sign here. 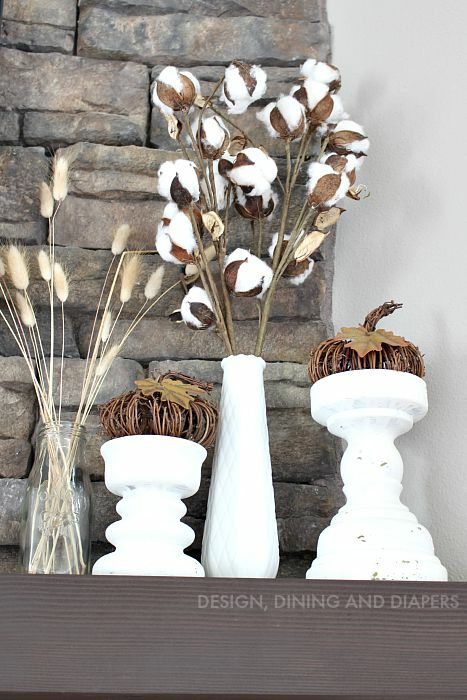 Up on the mantel, I added a few rustic touches with distressed pillars and grapevine pumpkins along with cotton branches and wheat. I love mixing different textures together to create a simple but interesting arrangement. 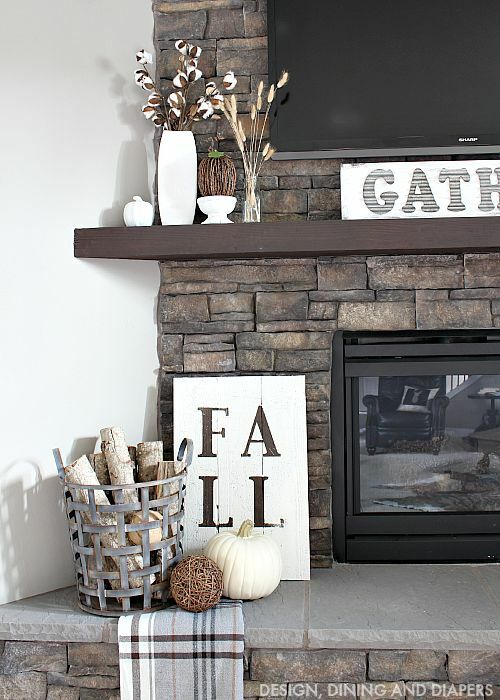 Spending a cozy evening next to this fireplace is one of my favorite things about fall! Oh my gosh – this is just gorgeous !!! What a beautiful job ! I love all the different textures you incorporated into the mantle. I especially love the cotton and wheat! Pinning! Hi Faith – I believe it’s a stone cladding. 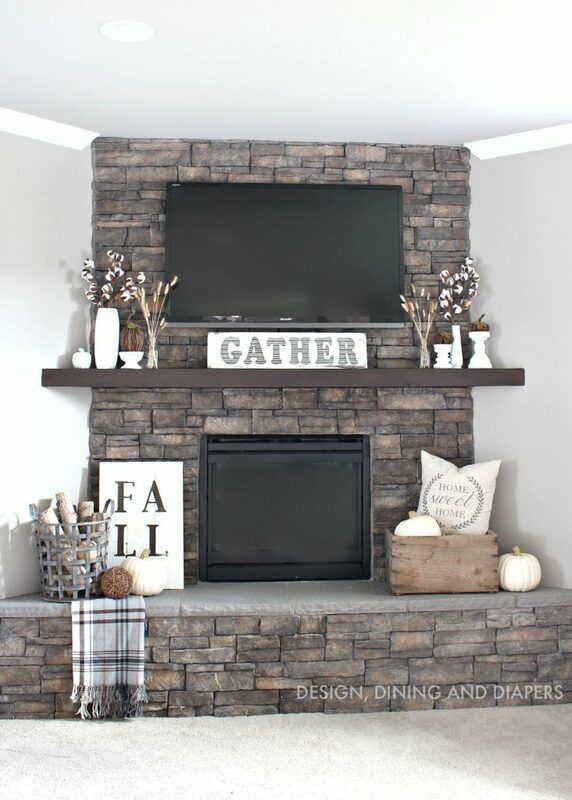 What brand & color is the stone on your fireplace? Absolutely love it !! What color are your walls and where did you buy that color please ??? Beautiful mantle with a lovely fireplace! This is very pretty! I have been planning to a wall in my living room with air stone, installing a fire place with mantle, and putting our tv above. My issue is where do we put the cable box, DVD player, and such. What was your solution? Can you tell me where you purchased your mantle shelf at? Thank you! Hi Taryn! 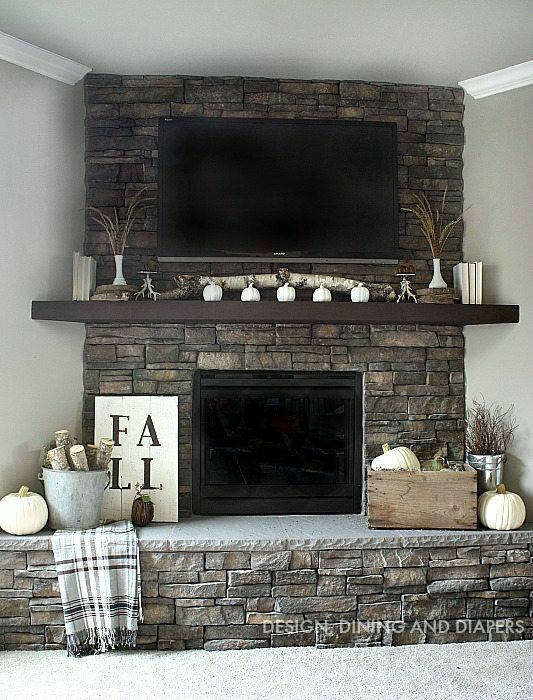 I’m so happy I came across this fall inspired mantle! 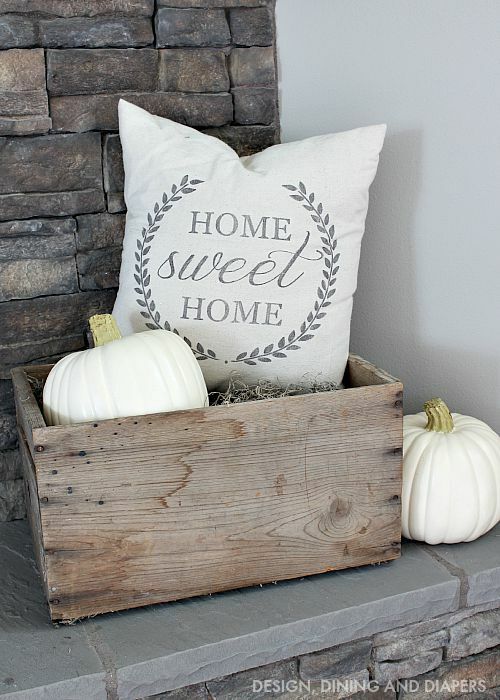 It’s gorgeous :) Just wondering what kind of basket that is with the wood inside? I’m looking for a similar style for my bathroom. Any help would be greatly appreciated! Hi, I love your stone color. Do you mind sharing what color it is? Hi! The stone was here already when we moved in, so I’m not sure what exactly it is. Sorry! Hi I was wondering if you could share the color of your walls. Really pretty! Hi Michelle! How wall color is Collonade Gray by Sherwin Williams! Hi I’m hoping you can tell me how tall your living room is? Mine is 8 1/2′ tall and curious about the t.v. about fireplace, I love the way yours looks! Hi! Our ceilings in the downstairs of our house are 9 ft tall. I absolutely love your mantel and fireplace. 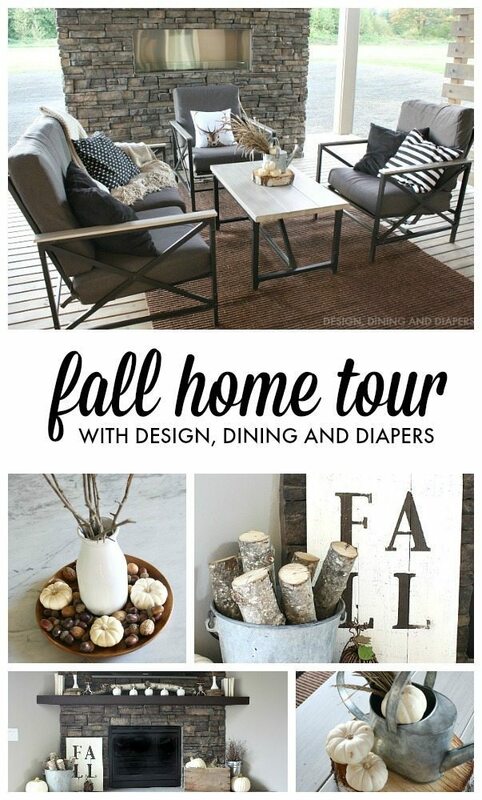 My husband and I are redoing our home and want to do something similar. Where do you hide your satellite box /dvd player if you have one? Our contractor told us there was no way to move it or relocate it further away from the tv. Help! Hi! And thank you. Our fireplace was finished when we purchased our house, but our builder wired it so the cords go behind the TV above the fireplace, under the house and then they pop out on the opposite wall. If you remove our TV, there is a section of stone missing where all the cables go.